PRICE REDUCED! Nestled in the foothills of a mountain preserve, this gorgeous residence, built by award winning homebuilder, Camelot Homes, exudes sophistication, comfort and style. 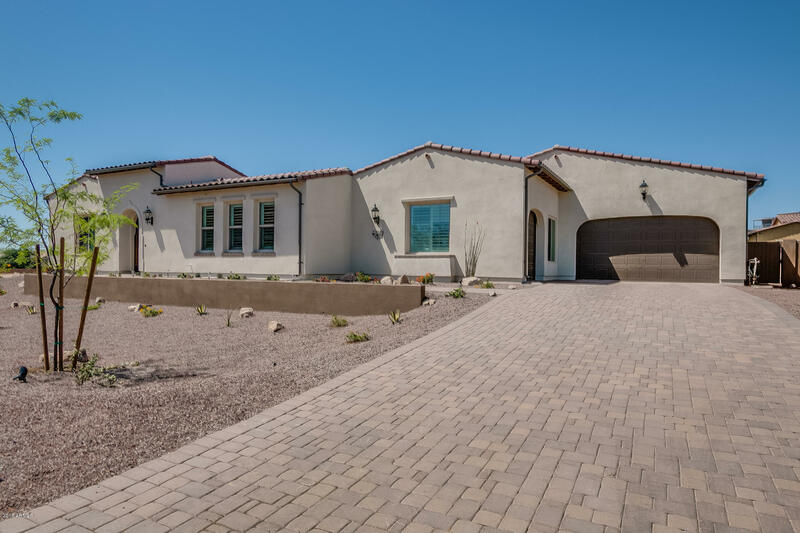 There are 4 bedrooms, plus den and 3.5 baths in the spacious main house that boasts a guest casita, just across the enclosed stone courtyard. From the moment you pass through the iron crafted gate you will be impressed by the many detailed custom features that make this home so desirable. A rich feeling has been created, using special touches in oak flooring and tile, cabinetry, lighting, ceiling fans and plantation shutters. The backyard is handsomely landscaped and showcases a beautiful 40'x80' pool oasis. This property is located in the gated, Gold Canyon Preserve subdivision. A terrific value when comparing to other valley locations and offering easy access to all Phoenix has to offer! Come see for yourself!